Here is the forecast concerning the excessive heat threat beginning this weekend and continuing into next week. Heat Advisories and a potential Excessive Heat Watch will likely be issued Friday. Max Temperatures in the 90s. 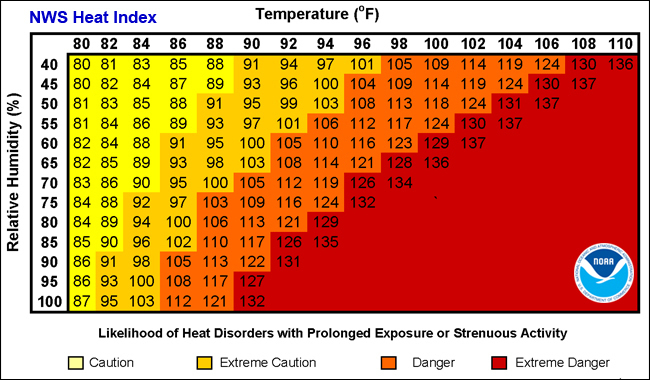 Max Heat Indices in the mid to upper 90s Saturday, and 100-107F Sunday and Monday. Worst conditions will be felt across northeast New Jersey, New York City, the lower Hudson Valley and interior southern Connecticut. There is high confidence in an extended period of heat. contact us. We can be reached by email at okx.operations@noaa.gov or through NWSChat.